Who wants to be a Sydney target? 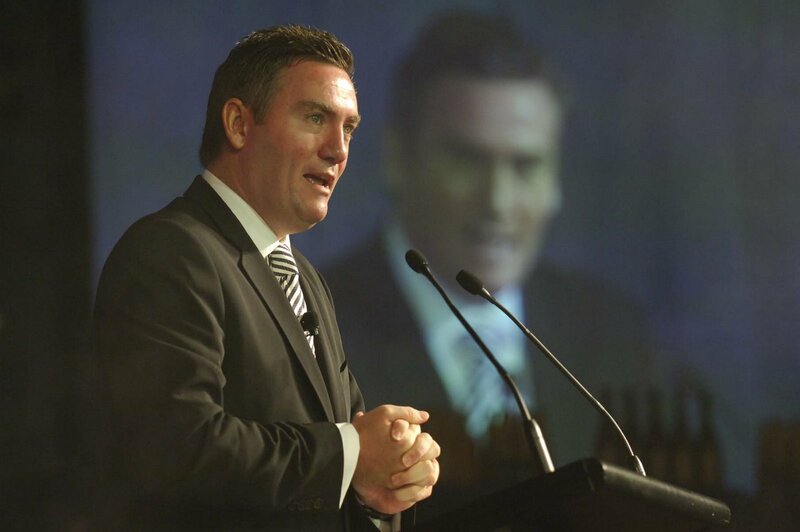 McGuire is yet to have an on air role in 2008 for the Nine Network, despite his $5 million annual salary. At its “We Heart TV” 2008 launch, none of McGuire’s game shows were trumpeted, although he later assured media he would be back on screen. The article makes no mention of the success of Underbelly – the hit series which McGuire was instrumental in getting to screen. But the truly ridiculous thing is that after Nine’s “annus horribilis” a large ground-swell was screaming for McGuire to adopt a low-profile. Now he’s done that, yet there is still criticism? Talk about damned if you do, damned if you don’t. Whoever has masterminded Eddie resting, has made the right move, and should stick to their guns. And whatever vehicle Nine eventually brings back for McGuire it should be live to air, an arena in which he has few peers. I don’t think that the article was particularly harsh. I want to know why Melburnians are so protective of Eddie? It’s not like he is doing ‘nothing’ at all. I think you will find that Eddie would be still playing a small role behind the scenes at Nine. I have to say, I find him smug, arrogant and I dont watch anything hes in, but there is no doubt he will bounce back, Nine have Olympic rights from 2010 and I think with no “first and last bid right” this time around for seven that its more or less a foregone conclusion that a joint Foxtel/Nine bid will take back the AFL rights from 2012 but until then im sure there will be some new gameshow between now and then that he will be wheeled out to host.. The two shows that jump to mind for me that made him a household name was the Footy Show and Millionare. Footy SHow is still going strong and the only thing that might bring that show down is the sinking of Newman, as for Millionare, it was already a popular formula before when Eddie took it on board, arguably anybody that hosted it would have made a fair impact on viewers. And not to forget his involvment with Footy and being President of Collingwood FC (but that could earn you the most hated role lol). Thinking that anything he attaches his name to will make the show a hit is a but over zealous. ANd keeping a low profile is fine but if he is taking home 5 mill a year he has to do something. You dont get paid for keeping a low profile, and low profile is one thing, not being on air at all is another, he could always commentate or work the morning weekend shows in sport.As for Underbelly, no doubt he was instrumental but the show was made last year, the techinical touches that are still being rendered (and the music choices are sub par for the final episodes) Eddie has little to nothing to do with.